Dr. Michael Law, owner and operator of Blue Water Spa, is a board-certified plastic surgeon who offers a complete range of facial rejuvenation and body contouring surgical procedures. 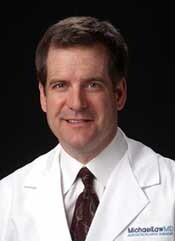 Dr. Law has hospital privileges to perform all surgeries we offer. You can feel confident about entrusting your surgical enhancements to Dr. Law.